Here is a another installment of videos for studying for the USMLE Step 1. Here are the videos of hematopoietic & lymphoid pathology. I am providing these videos for my record but my readers can benefit them also. These videos should set a foundation for the pathology for hematopoiesis and lymphatics. Watch them at least twice consecutively to get the full grasp of the concepts. Like mentioned before, please use the latest versions of Internet Explorer or Mozilla Firefox in order to view them correctly. I write these USMLE style questions to help me study and perhaps help my readers as well. I get these questions from concepts mostly from USMLE Step 1 First Aid book. If I am wrong in the explanation of these concepts then please pointed it out by posting a comment. The title of the post indicates the symptoms of the clinical scenario without revealing the answer to the question. NOTE: I did not copy and paste the MCQs from anywhere, I actually wrote them. A 50-year-old male presents to clinic with a three weeks history of exertional dyspnea, fatigue, and palpitations. The patient’s heart rate is irregular and measures 124/min, with a blood pressure of 112/75 mm Hg. Echocardiography involving the esophagus reveals a thrombus in the dilated left atrium. If the thrombus enters circulation and obstructs a blood vessel, which of the following structures is least likely to be affected by the thrombus? The correct answer is the liver, because the thrombus of a blood vessel leads to infarction and the liver has a dual blood supply, which consists of the portal vein and the hepatic artery. 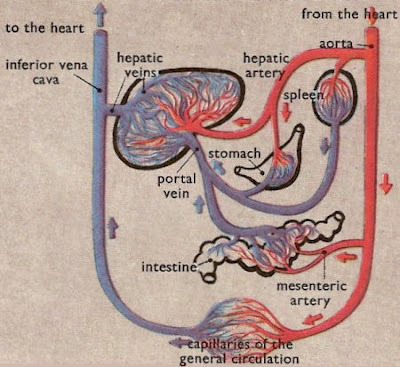 If the hepatic artery is occluded, the portal venous supply and retrograde arterial flow through accessory vessels is typically sufficient to perfuse the liver. The only time there is an exception is when a patient has a liver transplant and due to the transplant, a thrombus develops in the hepatic artery; and the collateral blood vessel can get severed during surgery so, there would not be a retrograde perfusion. The organ that is least susceptible to withstand occlusion is the brain and the organ that can withstand occlusion the greatest is the liver; the other organs are between. The organs that are susceptible to infarction due to blood vessel occlusion are as follows: brain > heart > kidney > spleen > liver. The brain is very sensitive and can be damaged permanently once perfusion is occluded for more than couple of minutes. Staphylococcus Aureus is a gram positive, catalase positive, coagulase positive bacteria that presents as clusters of cocci. Streptococcus Pneumoniae is a gram positive, catalase negative, alpha-hemolytic bacteria that presents in lancet shaped coccus in pairs. Now there are many other organisms that have features that requires understanding their classification for memorizing for the USMLE Step 1. The question is how will you memorize them. It all comes down to understanding the basic foundation of Microbiology. I provided videos below which will make it easier to understand the basics of microbiology.